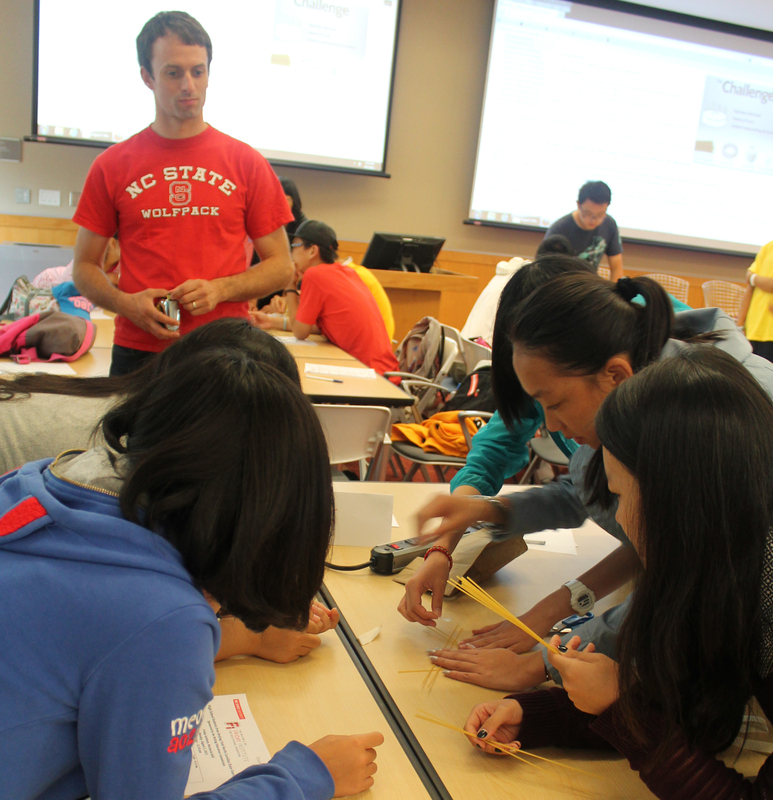 August 8, 2013 – Over 100 students from Beijing, China visited NC State University to work with the Friday Institute for Educational Innovation’s New Literacies Collaborative (NLC). It marks the first time the NLC has had the opportunity to work with the public school students from China. For the past four years, Dr. Hiller Spires, professor and senior research fellow at the Friday Institute, and her colleagues in the NLC have worked to build a mutually beneficial relationship with the Beijing Royal School (BRS) in China. Spires has previously traveled to the private school to work on professional development in new literacies with its faculty and staff. Students were selected based on academic performance, financial need and those who had not previously visited the U.S. The trip was subsidized by the Beijing Education Commission and organized by the RTP China Connection, an organization that promotes educational exchange programs between the United States and China. “The private students in China have been enjoying the opportunity to visit other countries, but now [because of] the development of Chinese economy, more and more people are able to afford sending students overseas,” said Jason Li, Director of RTP China Connection. The exchange goes both ways. John Lee, associate professor of social studies and middle grades education and research fellow at the Friday Institute, recognizes that such exchanges help to build a mutually beneficial relationship between NC State and their Chinese contacts. “The New Literacies and Global Learning program has a big emphasis on global experience and these exchanges allow for opportunities to give all students exposure to different educational systems even if they can’t travel,” said Lee. 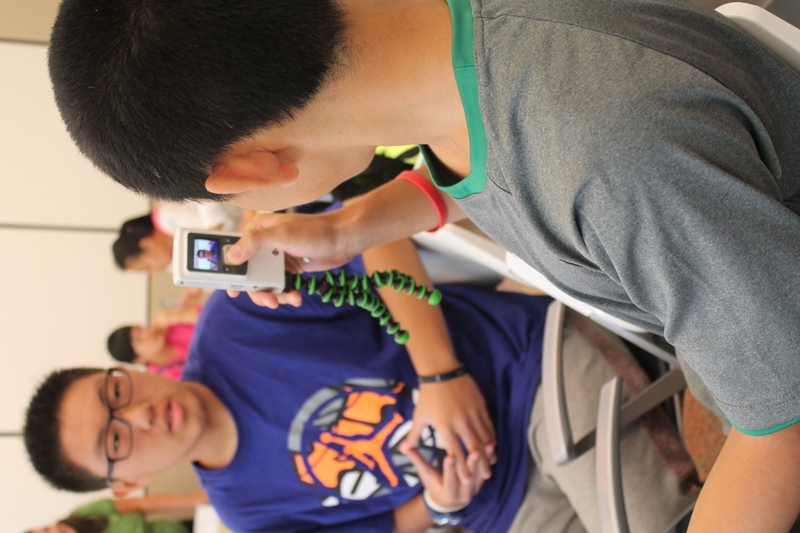 While at the Friday Institute, Beijing students practiced making videos and participated in the “marshmallow design challenge” to work on their collaboration and problem solving skills. In return, they gave a presentation for students from the Centennial Campus Magnet Middle School about Chinese traditions and brought gifts to share. During their visit, the students had the opportunity to tour NC State’s campus and attend a panel presentation of students to answer questions about life at NC State. 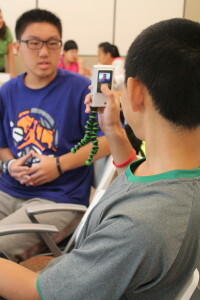 Li described their experience at the university as a highlight of [their] activities in North Carolina, even though many could not afford to attend college in the United States. “I think that the Friday Institute and the College of Education not only have a vision for globalization, but actually implement globalization and international collaboration in their activities,” said Li. Earlier this year, the NLC conducted its second New Literacies Teacher Leader Institute at the Beijing Royal School, and on July 29 a group of 18 BRS students visited the Friday Institute as part of a summer camp during which they traveled around the U.S. visiting higher education institutions. Click here to view a video from the summer camp.